Find information about inmates incarcerated in state of South Carolina (SC). South Carolina Department of Corrections (DOC) allows one to search through the database of all inmates incarcerated in State Prisons and County Jails. South Carolina DOC provides name, location and arrest records of the inmate. To search inmates in City Jail, Police Department Jail, Military Prisons, Reentry & Treatment Facility, one needs to contact individual facilities directly. As per 2016 census there are over 32,100 inmates incarcerated in South Carolina. South Carolina has incarceration rate of 820 per 100,000 adults (Above 18 years) which is 5.13% higher than national average. 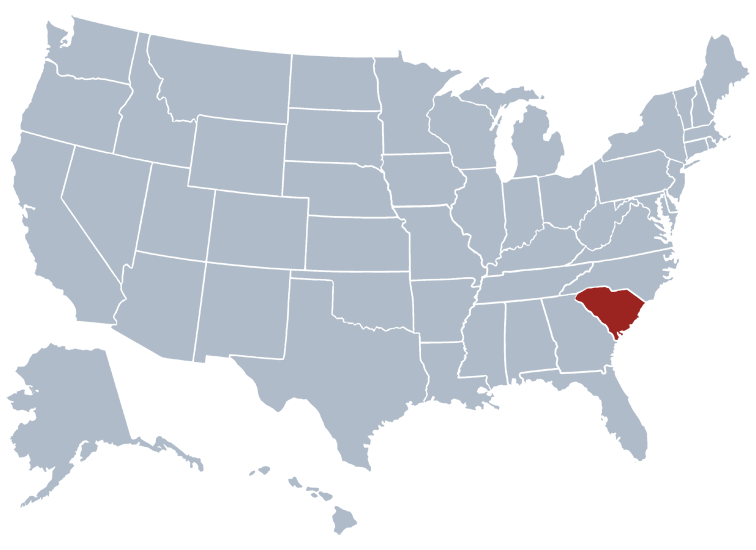 South Carolina has incarceration rate of 640 per 100,000 persons (All ages) which is 6.67% higher than national average.